We are currently working alongside Architects; Morgan Carn Partnership, Structural engineers HOP and the European retail real estate investment manager Redevco. 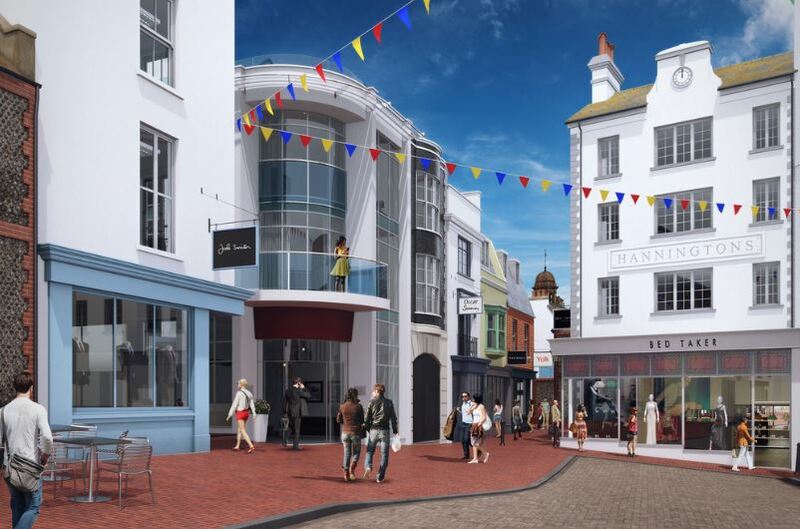 Where together we are forming a new landmark between The Lanes, North Laine, The Commercial Quarter and the iconic Brighton Pier. In transforming the former Hannington’s Department store into a new retail and leisure area we will be creating a new lane, and new entrance to the historic Lanes shopping area from North Street, as well as redeveloping a number of the existing buildings to provide new and exciting shops, restaurants and cafes, with the development completed by the construction of nine new two storey apartments and courtyard. The design will also reveal Pugets Cottage, thought to be one of the oldest buildings in the area for the first time in over 230 years, having been hidden behind the shops on North Street.